Oh Dear! It’s happening all over again! Yes, we’re making plans for the next Oh Dear Diary. In fact … (whisper it…) we’re making plans for the next TWO Oh Dear Diaries! 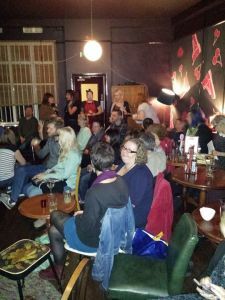 We loved putting on the first event in Cherry Reds last October and – woohoo – it seems like the rest of you loved watching it too. So we’re going to do it all over again. But first… we’re going to need some more readers. Did you keep a diary as a teenager? Have you still got it? We’d love to meet you! Do you still have have a diary from between the ages of about 12 and 20? Think you might be up for reading some of it to a small and very appreciative audience? 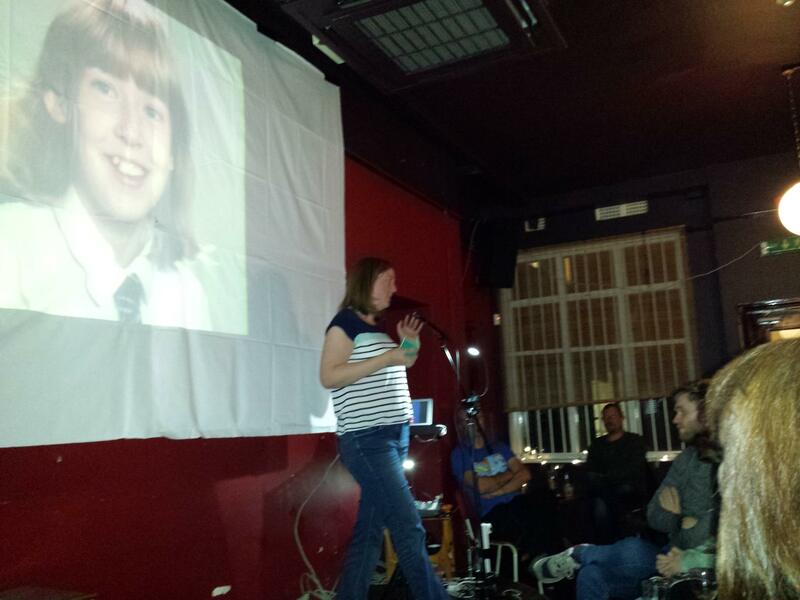 We’re looking for people to read at Birmingham in April, and potentially Manchester in July. If that sounds like you, please let us know. And if it sounds like someone you know, please tell them all about Oh Dear Diary! To find out more (don’t worry, we won’t commit you to anything until we’ve had a proper chat), email emma@ohdeardiary.com, or get in touch on Twitter or Facebook. I know what you’re saying. “Oh, but mine’s really boring…” But the thing we’ve found about teenage diaries is… nothing is too banal or boring! Sometimes, the dull bits are the best (one of the funniest lines from last year’s ODD was when Ged told us she “got followed home by a dog”. Why is that funny? No idea. It just is). If you’ve got diaries, but you’re not sure about sharing them, please email us anyway. If you’re local we could even meet up and have a chat about it. And in the meantime, have a look at some of the videos from last year’s event – here you can hear our previous readers… and see some of the, er, amazing artwork they were kind enough to share with us. 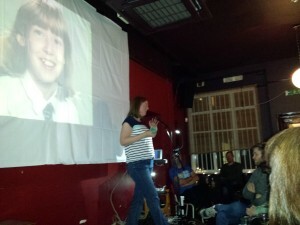 Thanks SO MUCH to everyone who came to our very first Oh Dear Diary on Thursday! Helen – who had a shrine to Terry Christian – and when she listened to him on the Feast advert, he turned her on. Thanks to all our readers! We’re putting together some videos from the night so that you can relive all of these moments – and those will be available on the Oh Dear Diary YouTube channel very soon. If you took any photos or videos on the night, we’d love to see them. You can share them with us on our Oh Dear Diary Brum Facebook page or @ohdeardiarybrum on Twitter. If you came along on Thursday, we’d love to know what you thought of the night so that we can plan Oh Dear Diary 2. So, with the help of Eventbrite and Surveymonkey, we’ve put together an Oh Dear Diary survey – here’s the link. (If you bought tickets via Eventbrite, you’ll probably have had an email about it already.) Your answers will help us put together an even better event next time, so make sure you click through, fill it in and tell us what you thought. Cheers! Yes, we’d LOVE to do it again! Did we inspire you to dig out your old diaries? Want to read them out at the next one? Email emma@ohdeardiary.com to sign up now! You can now buy tickets for Oh Dear Diary on Eventbrite! 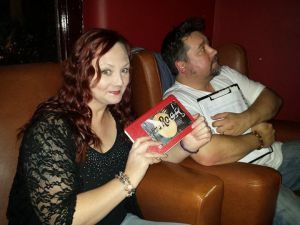 Yep, the first Oh Dear Diary event will be taking place at Cherry Reds in town on 9th October and we’d love you to come. There are a limited number of Early Bird Advance tickets available – which will get you a whopping 50p off the door price – then, when these have gone, it’ll go up to the standard price of £5. Space at Cherry Reds is limited, so buying in advance means you won’t face being turned away at the door on the night because we’re just too jam packed to take any more. Well, I hope that’s how it’ll go, anyway…!